Incredible. Innovative. Intelligent. Identity-building. 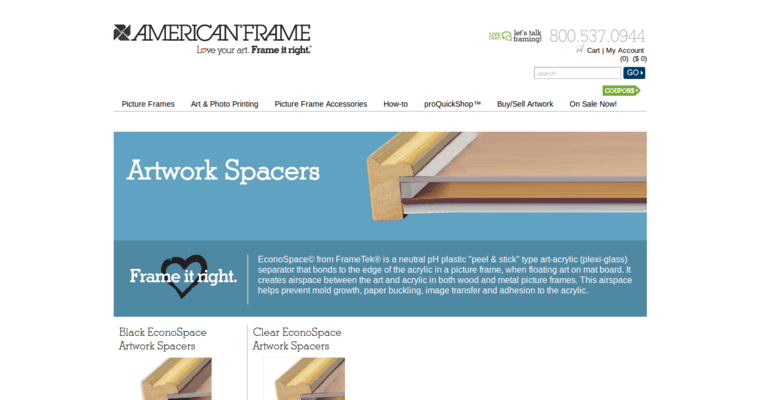 These are just a few of the adjectives that tell you what the astute professionals of American Frame are all about. Our company specializes in offering clients a plethora of brand-building products and services that will take their creative businesses to a new level of efficacy and excellence. 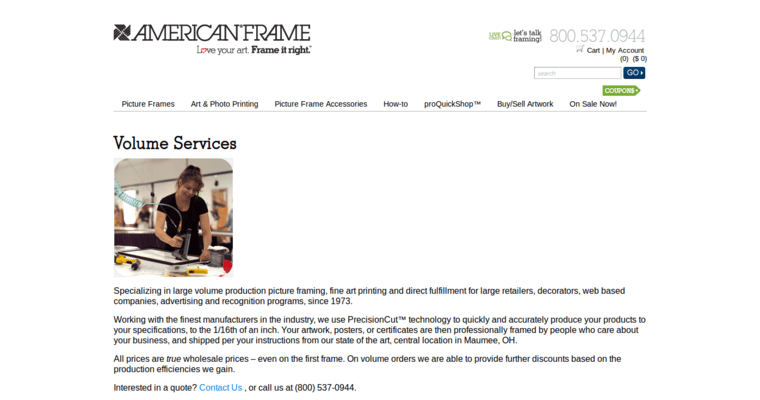 We're pleased to provide all of our clients with a wide range of custom picture frames, DIY framing supplies, mat boards, and fine art printing services. We're also happy to provide clients with an entirely FREE online art gallery that you can use to heighten your creative capacities and enhance the aesthetic appeal of your designs. Ever since 1973, we've been helping great people like you attain the professional, precise care that you need in order to ensure that your business continues to thrive and grow. 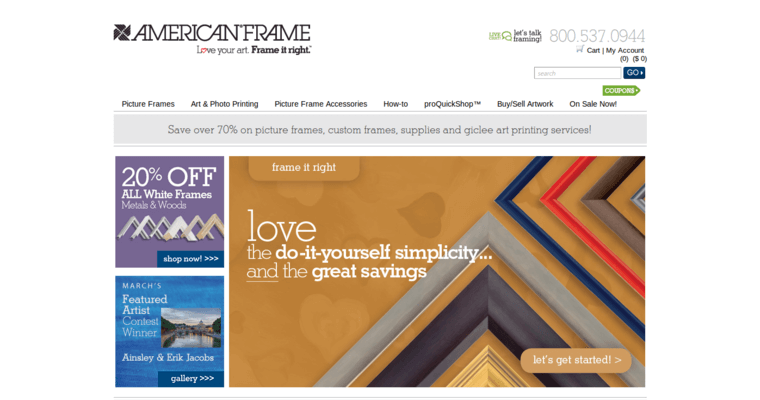 Choose American Frame and let us take your business from good to great with lightning speed!